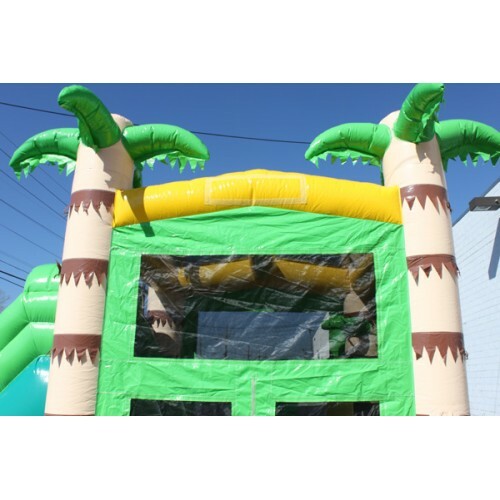 King Castle Combo Bounce Rental - kiddo kingdom : Inflatable Fun, Parties and Rentals! Built-in Exit Slide! Use wet or dry! Basketball hoop inside! 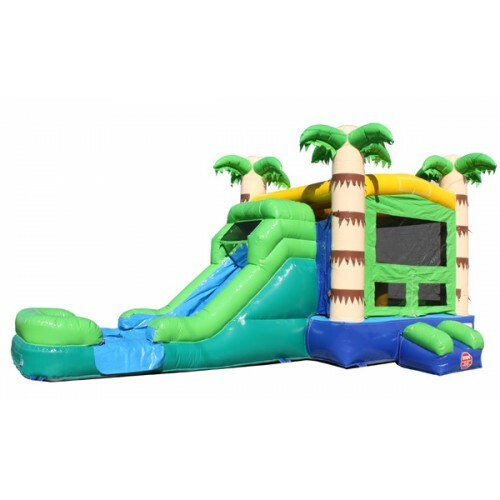 This is a wet and dry Bounce & Slide Combo. 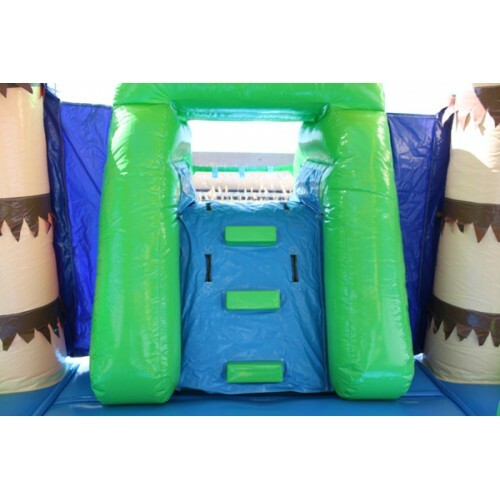 Brilliant design features a basketball hoop inside the bounce house area, along with with vertical pop-ups. 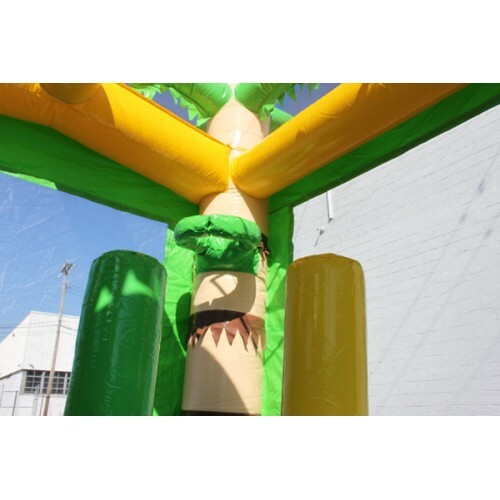 It inner area is a 13'x12' bouncing area with pop-up obstacles, a three step climbing area that leads to the to the top of the slide platform! 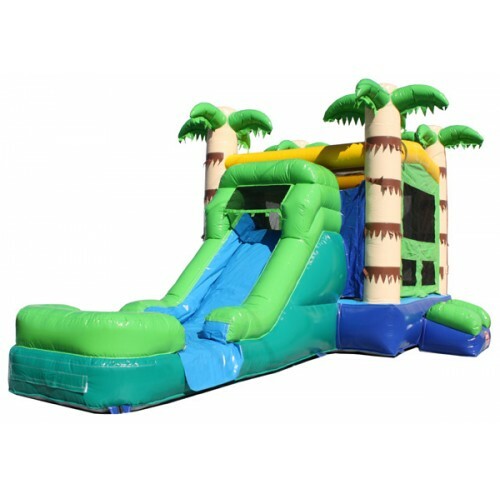 There, your kiddos stand on a safe and secure 6.5' tall platform where they chase thrills down the slide. 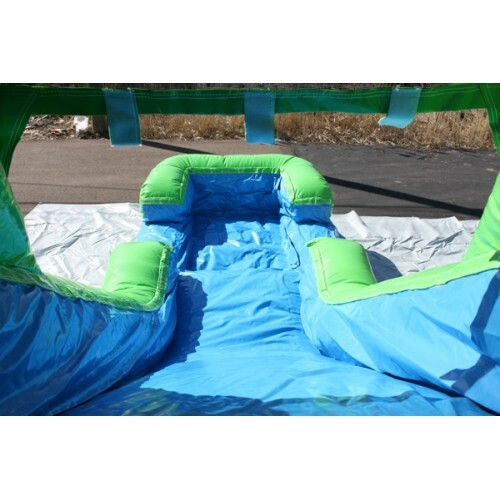 It has a water pool in the slide landing area with an inflated bottom to ensure a safe landing, no matter if you use it as a wet or dry inflatable. Call 903-390-4114 to reserve it today, or submit the form below. Reserve now! Call 903-390-4114 or submit form below. No, not this time. Maybe. I have questions. Yes! Absolutely, let's splash! Please provide your city and zip code so that we may determine if you are within range of our delivery area. Submit no obligation RSVP for Tropical Combo! *1 Day ranges from 2-8 hours, sometimes longer and is not guaranteed. 3 Day Starting on Monday or Tuesday means if we set it up Monday, we'll take it down Wednesday, or if we set it up Tuesday, we'll take it down Thursday, ensuring up to a minimum of 36 hours, but not guaranteed. Ultimate Weekend means we'll set it up on Friday and take it down on Monday, ensuring a minimum of 48 hours.